At this very moment, playing on the vintage (almost forty year-old) Technics turntable as I write this is an artifact of my youth. A five decades-old LP — okay, the vinyl record spinning right now at 33⅓ RPM is the forty year-old Apple Records reissue from ’75 — that is the topic of a music writer’s book being reviewed. Truth be told, I once owned the album in question, the “Capitol Full Dimensional Stereo” color band label version. Bought after The Lads (care of Richard Lester) up and changed my life as a ten year-old. Certainly heard of Dave Marsh, the American music critic, author-editor, and radio talk show host. Contributor to the now bygone Creem magazine, along with Newsday, The Village Voice, and of course, Rolling Stone. The New Jersey native, music wordsmith, and official biographer to Bruce Springsteen, has published numerous books about music and musicians. Mostly the “rock” variety. And he zeroed in on something that’s scorned by some, but still very special to me and others my age. Had to have been fate I picked up his slender volume, The Beatles Second Album, over the summer and was transfixed by it. Not very lengthy, just 186 pages (plus acknowledgements, discography, and listed titles by the author). A lazy weekend, or one breakneck afternoon, read for those interested in the unique and remarkable time that was the ’60s. One that captivated a good number of us then pre-teens and teens having the music of our parents upheaved in no uncertain terms by a foursome of Brit mop-heads. ‘Course there were some…change that…one, at Capitol Records who tried to hold back the tide, as if he could. Marsh established the context of the period with the distinct clarity of one who lived inside of that bubble. The sphere transmuting itself into movements (anti-war, Civil Rights, women’s and gay rights) and changing popular culture. Especially so in music, gleefully helped along by the British Invasion. With our heroes, The Beatles, leading the way care of their sweet sounds, which were ironically fostered right here by the influential likes of Chuck Berry on Rock ‘n Roll and R&B artists finally getting their due. It’s a compelling read for some of us, not so much of others. The chief criticism of this novella length tome, among a few1, was Dave Marsh’s passionate criticism of the villain in the piece. Dave Dexter Jr. The music journalist turned record company executive placed in charge, after EMI absorbed Capitol, of screening the Beatles’ British releases to determine if they were suitable for the American market. He held them back, much like the Comanches held off European settlers, for the longest. Even after knowing they dominated charts wherever introduced…the sod. Perhaps, Marsh doesn’t present a “fair and balanced” view toward Dexter’s role in the matter. Maybe there just isn’t one. Finally forced …er,persuaded…to release “I Want To Hold Your Hand” (their fifth UK hit single) in late ’63, he was put in charge of releasing The Lads work in the U.S. These “Dexterized”2 releases are an abomination for some, but were for a good many of us our initial exposure to John, Paul, George and Ringo. 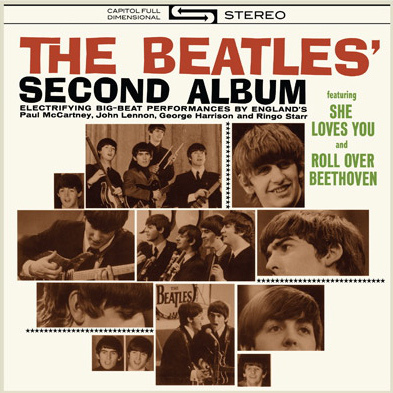 The Beatles’ Second Album arguably the best of them. The author and I think so. 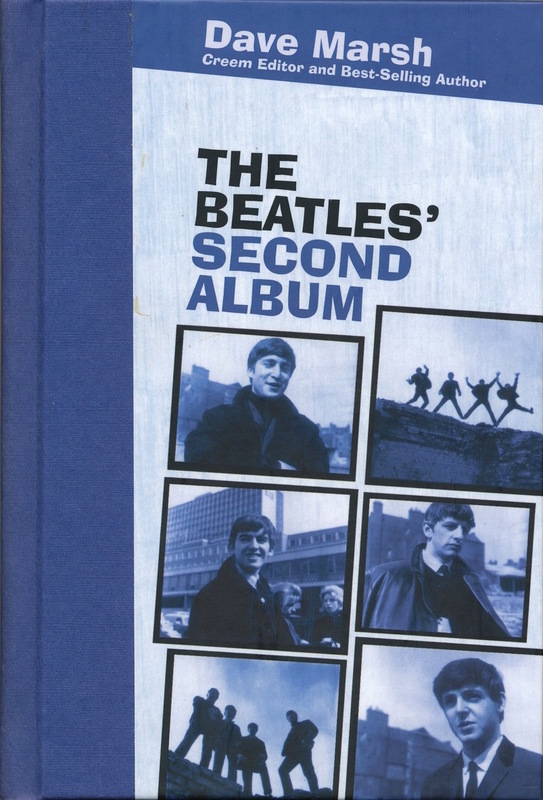 Dave Marsh, I think, makes the case in his little gem of a book why the album, which runs just a scant 22 minutes, only 11 songs total, a good many song covers, succeeded despite efforts to tamp down the group. As only one who, like the rest of us, fought to get his hands on said vinyl against parents, or in my case grandparents, and others3 who wished he’d not. Makes one spirited, and that ardent view of his against the A&R exec’s tampering with the UK vinyl counterparts was more than forgivable. Hell, I fist-pumped Dave’s diatribe more often than not while reading this, mainly after learning more of Dave Dexter, Jr. I cared to hear. Still, whether he intended to or not, Dexter scrambled together here a riveting mix of some superb Lennon-McCartney material and excellent covers4, many the group’s favorite American tunes. Dave Marsh broke it all down, contrasting it with the Americanized “Meet The Beatles” and later works. Song-by-song, detailing why a strange amalgam such as this, not shorting criticism either, became the unlikely combo Rock ‘n Roll-slash-R&B release that reverberated inside the heads of American youth for decades. Audible.com’s own Audible Studios released this title last year in a svelte, 4 hour and 49 minute, audiobook for download package. Narrator LJ Ganser performed the reading in his usual Casey Kasem-like delivery that worked uncannily. Certainly brought Dave Marsh’s knowledgable, experienced and damn it, fearless opinions about The Beatles and their effect on him through this very distinct Capitol album to worthy crescendo. Vocally matched the material more than I expected, that’s for sure. Great review of a book my Beatles-loving hubby would likely enjoy! I’ll let him know about this Michael, many thanks!